Ahead of a gig in Nuremberg Birdman composer Antonio Sánchez tells marlbank that he hasn’t got a specific soundcheck and pre-gig routine. Next year Sánchez will be concentrating on his own projects and will not be touring with Metheny. His new Migration album Lines in the Sand is a full blown protest, anti-Trump, album the ostensible protest element is in the brief opening police radio, siren, and street found sounds track that then sets up a very pacey rollercoaster feel to what follows. On tour the band is the same as on the album except in place of bassist Matt Brewer expat Englishman Orlando Le Fleming is on the road along with expat English pianist John Escreet on keyboards, Antonio’s wife Thana Alexa on vocals, and Chase Baird playing tenor sax and EWI. Sánchez incorporates the role of the singer as another instrument like a trumpet with effects. He tells marlbank: “The voice is very relatable and the advantage is that there are lyrics” which on ‘Home’ certainly allows a more overt evocation of the theme of migration universalised which adds to its message. Sánchez talks about the importance of what home is in a contemporary context, which in America under Trump is demonising immigrants. He says that his own immigrant story coming to New York legally from Mexico City now holding both US and Mexican citizenship was a case of his own good luck. However, many others there are not so lucky. He says that the album isn’t only for the dreamers who have made headlines in their righteous protest against cruel treatment by the authorities but immigrants who have been in America for many years who live undocumented but who also contribute greatly to American society. “I am lucky in the sense that my family supported me in what I wanted to do. Now we have politicians who are ostracising immigrants and demonising them.” He is encouraged by the strides the Democrats have made at the recent mid-terms and at the recounts since the initial results came in. Lines in the Sand is not jazz-rock in a 1970s sense although borrows from that instinct to avoid narrowness and embrace the friction-less borders of different styles of music, this has a rugged presence and there are dreamy avant touches courtesy partly in the harmonic underlay that Escreet, a spiky player on his own records, unobtrusively provides. He injects a turbo boost to the Pat Metheny Group-like serenity that is all pervasive throughout, comparable in texture to the mood of say 1997’s Imaginary Day well before Sánchez joined Metheny circa Speaking of Now five years later. Migration feel like a much bigger unit and are not really in the business of dashing off a procession of solos. That is the skill of the way Sánchez writes and ‘Travesia’ itself is like a concerto and unveils a group think panorama in performance where images and colours emerge to tantalise and enhance the direction of the music. Based in Jackson Heights in Queens, New York city, which is a very diverse community, he tells marlbank that he is not so much part of the local New York scene as he was once through touring commitments. As for his ongoing relationship with CAM Jazz he takes his future plans at an album-by-album pace and says “he is a loyal guy”. The only change would be if any project he does is less jazzy, perhaps spooling in a more electronica direction. 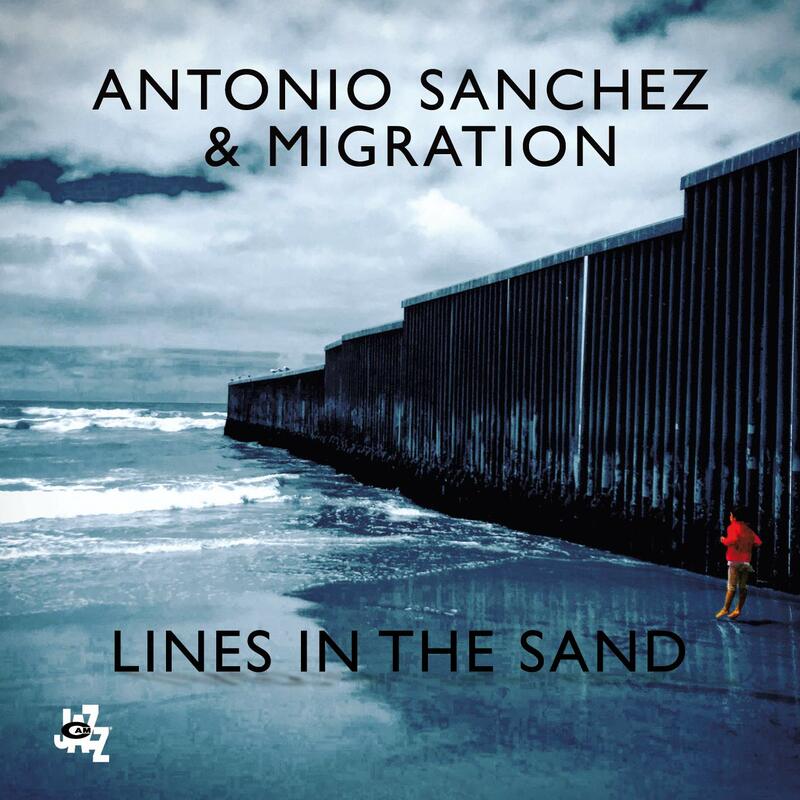 Hear Antonio Sánchez, above, and his band Migration at the Sugar Club in Dublin on 20 November and during the London Jazz Festival at the Jazz Café in Camden Town on 21 November.